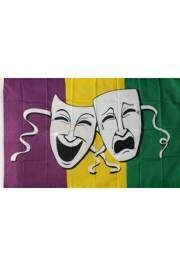 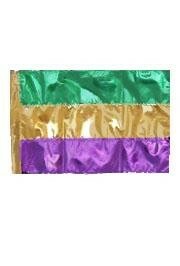 A 2 foot by 3 foot purple, green, and gold metallic Mardi Gras striped flag. 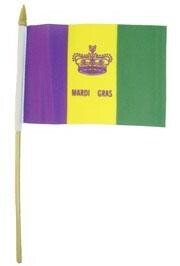 This is perfect for party and float decorating. 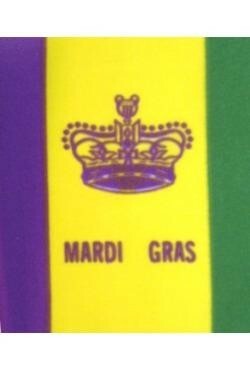 A purple, green, and gold flag with a crown and "Mardi Gras" letters on a stick. 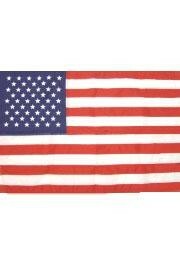 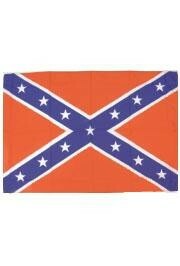 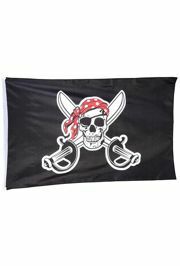 This flag measures 4in x 6in. 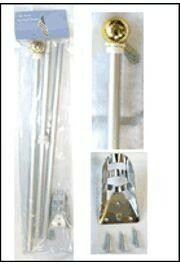 The stick measures 11in.